Many places will not allow you to rent if you have pets. Thankfully, as the number of pet owners is consistently growing, more landlords are open and more flexible when it comes to bringing a dog or a cat into your new apartment. But there are laws, rules and restrictions you need to follow to avoid eviction, generally be a good tenant and extra careful when renting. 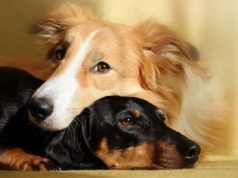 Properties that accept pets will have either a pet deposit or a pet fee, or both. A pet fee is a set amount that you will not get back. A pet deposit is a set amount that you may or may not get back if there is no pet damage. Some landlords will even charge money on top of the pet fee if the damage is excessive. Always make sure they have a legal right to charge you a pet deposit or pet fee. If you're about to rent a new place and own pets, here are 11 ways to make sure that you and your dog or cat have a happy, healthy, and economical experience. The most important thing you need to do is make sure you know any, and all, rules and regulations. Many rental properties have restrictions on the size and weight an animal can be. They also have a set number of pets you can have. While some landlords may allow any and all small pets, some won’t allow snakes or spiders. If you don’t follow the rules, it could lead to a massive problem such as eviction from your home and/or your pets being seized by animal control. Remember about your own rights, too. For example, landlords must allow you to have an emotional support animal no matter what. Your first defense is a good offense. One of the most important things you can do to ensure that you have a great experience with your dog in a new apartment or house is to get your obedience training (even if you have a cat). This is something that you can do yourself, but if you doubt your technique, consistency, or ability, you should take classes from a professional. While it is an expense, remember that you only have to train your dog or cat one time if you do it right – the benefits will save you in the end. To avoid any unnecessary penalty fees from the landlord, ensure your place is always immaculate and doesn't have clear signs of pets living there. Normally, it takes more than a quick vacuum and mop to get rid of all the pet hair and dander (some vacuums are better than others, however). You can also rent a cleaning machine to get it as clean as possible. Save your receipt, and take before and after pictures of your work. Some landlords will try to charge for floor cleaning even if you already did the job. Not as big of a problem for dog owners, but cats scratch, so you need to have a few scratching options scattered around your home. If you don’t, they will be scratching on your furniture, or worse – walls and doorjambs. Be careful with any that have spring attachments or ropes. Your cat could become tangled when you are not home and be severely injured. Have several different types of scratching posts or other entertainment for your pets so they have a variety of items to fulfill the need. Dogs love to chew, so to avoid having your belongings – and more importantly, things in the apartment – destroyed, you need several chew toys available for the dog at all times. Even for cats, make sure there are things to bat around so they are not pawing at the window dressings and the carpet runners. Pets like variety and can get bored with the same thing. Pick up some of the toys when you are home and put them out when you leave. Refresh toys often. You can get brain-teasers and interactive toys like puzzle boxes and treat containers. The biggest problem with puppies is when they relieve themselves whenever pleased. You may take your dog out every time you know you must, and the dog may be perfectly house-trained already, but accidents can still happen. Even for adult dogs, always have some puppy pee pads in case your dog has an emergency. For cats, make sure the litter box is always clean with fresh litter (you can even have a doggy litter box). Some cats refuse to use a litter box that they consider too dirty. Not as big of an issue for cat owners, but while you are at work, your pooch could be crying and whining all day. The first defense is to know this is happening. Be proactive about it – introduce yourself to your neighbors and ask them to let you know if there is any trouble with your pet when you are out. If there is a problem, there are several things you can try to solve dog barking problem so that you don’t get evicted. There are also training techniques and electronics you can use for dogs. Mini-blinds are the enemy of both cats and dogs. A lot of rentals come with basic mini-blinds installed already. It is a good idea just to pull them up and secure the cord out of reach. Then use curtains, shades, or another form of window covering that you bought. If damage does occur, just put in a new blind yourself. It is much cheaper than having to pay for the damage or show any reason for the landlord to worry about. If you also have other smaller pets (hamster, guinea pig, rabbit, turtle, etc. ), the main issue with these small pets is their smell. Their cage should be cleaned once a week. If you have a ball for them to run around the house in, always be vigilant. Some small animals pee and poo while they are running around your apartment. It then comes out the air holes. Animals like rabbits can be litter trained, but many will only urinate in the litter and drop pebbles everywhere else. Many small animals are nocturnal so make sure their wheels and toys are near silent to avoid disturbing your neighbors. Kennels are good to have for a variety of reasons. You may have a tiny one for vet visits, but investing in a bigger soft dog crate or cat crate that your pet can use for other things is extremely helpful for renters. Some reasons include a pet that pees when it thunders or a pet that tears the house down when left alone. You want to make sure they have access to water, a safe toy, and a blanket in the kennel. The crate should only be big enough for the animal to fully stand, lie down, and turn around. Pets should only be crated up to 8 hours and only a few days a week. This type of insurance is usually pretty economical. It covers your possessions if anything should happen to your rental, such as flood or fire, or if there is a break-in. Some insurance companies include liability insurance for pets. This covers any damage the pet may do and any injury the pet may inflict on someone. There is also pet liability insurance that covers nothing but damage and injury caused by your pet. More and more rental properties are allowing pets. It is up to us, as pet owners, to keep them from regretting this decision.